Sedation dentistry allows you to go to the dentist without letting fear get in the way. A fear of getting dental work done is more common than people may think, but there are ways around the anxiety. Finding a dentist that specializes in sleep dentistry is a great first step to finding out how easy it can be and what a difference it can make in the lives of people who have dental work anxiety. 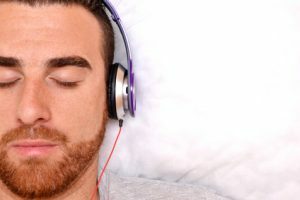 Sedation dentistry allows you to have your dentistry performed while you snooze away. Unlike general anesthesia with its risks and after effects, medications used for dental sedation leave you no memory of your dental treatment. These dental sedatives are available and customized to your health, treatment, and level of fear. Treatments from simple cleanings to full mouth restorations can be completed while you sleep, almost always within one session. You can wake to a beautiful new smile like a wish fulfilled! You will be rested, have no memory of your dental treatment, and have a gorgeous new smile. If you’ve ever wished you could just sleep through your next dentist appointment, then you’ve just realized a dream come true. That’s right, we have made pain-free dentistry into a science. After all, we want you to feel as comfortable as possible when coming to see us. Why Use a Sedation Dentist? Many people fear going to the dentist in New York City, sometimes due to a prior traumatic experience at the dentist. Dental phobic patients tend to hold off going to their dentist altogether, and as result, their oral health suffers. People who have a dental phobia will usually wait until they have pain or an emergency to go to the dentist, but by that time it may be too late to save their teeth! If you are afraid of going to the dentist in Manhattan, don’t wait until you have a dental emergency. Call us at 212-Smiling (212-764-5464) to request an appointment today or click here to request an appointment online! With inhalation sedation dentistry, your doctor will have you breathe in nitrous oxide, also known as laughing gas prior to and during your dental procedure. Nitrous oxide can be safely used for short periods of time. Nitrous oxide works very rapidly, reaching the brain in 20 seconds and the relaxation and pain-killing effects develop within 2 to 3 minutes. If you have difficulty breathing through your nose, inhalation sedation dentistry might not be the right form of sleep sedation dentistry for you. With oral sedation, your doctor will administer the sedative in the form of a pill that you can swallow. Like IV sedation dentistry, the most commonly prescribed medications in oral sedation dentistry belong to the benzodiazepine family – for example, Valium, Xanax or Ativan. The effects of these medications act to primarily relieve anxiety. A problem with oral sedation is that response to the drug is unpredictable. For example, if you don’t like to lose control, your brain may fight the effects of the medication, making them ineffective. If this is the case, oral sedation may not be the right form of sleep sedation dentistry for you. With IV sedation dentistry, your doctor will inject the medication directly into your vein. The most commonly used drugs for IV sedation dentistry are in the benzodiazepine family – for example, Midazolam and Diazepam. The three main effects of benzodiazepines are that they reduce anxiety, they make you sleepy, and they produce partial or total amnesia. In general, benzodiazepines are safe and effective in the short term. The onset of action with IV sedation is more rapid than with oral sedation. The maximum level of sedation can be reached with IV sedation as opposed to oral or inhalation sedation. Because a needle has to be put into your arm for IV sedation, if you do not like needles, this might not be the right form of sleep sedation dentistry for you. For the very high anxiety patient, you will receive medications that will cause you to be close to completely unconscious and in a very deep sleep while the procedure is being performed. Seeing that the sedation dentist thoroughly reviews your medical history and talks about any medications that you are taking or any recent surgeries. Bringing a list of all the medications you are currently taking or just quit taking. Asking about the correct dosage for you. Not being scared to ask questions. Asking how many procedures with sedation they have performed. Making sure that there is enough oxygen on hand for you. If your tooth has been knocked out, first follow these steps to help preserve your tooth, and then make an emergency dentist appointment. Your dentist will be able to offer you several forms of sedation dentistry for your pain, including anything from laughing gas to general anesthesia to help you sleep through the painful procedure. Can I Ask for Sedation Dentistry Here in New York? Anxious Manhattanites often ask about sedation dentistry, and it’s important to look for dentists trained and licensed to provide sedation dentistry in New York City. Though general anesthesia is a safe procedure used on millions of patients every year, it’s a delicate procedure that should be performed by a highly trained dentist anesthesiologist. Sedation dentistry can be used for any number of routine dental procedures, from routine cleanings to dental implantations and root canals. If you’re a New Yorker who avoids dentist appointments out of fear, sedation dentistry is a great way to reclaim your teeth health again! Ask your New York dentist about sedation dentistry next time you’re due for an appointment! Or, give us a call at 212-SMILING and we’ll tell you all about it. Ready to doze your way through your next dental visit? Make an appointment online!